The Impulse 6000D model is a Defibrillator Analyzer is a portable, rugged, easy-to-carry device with an intuitive user interface, backlight and easy-to-read display. 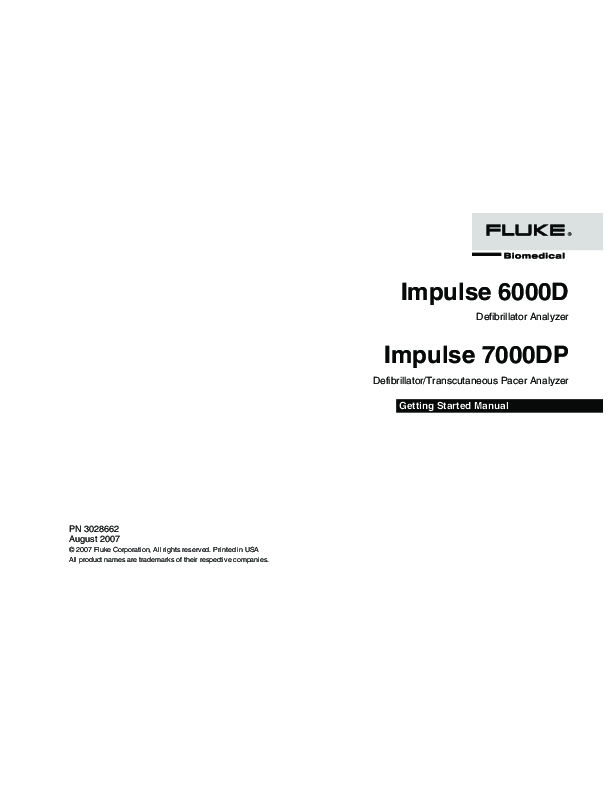 With functionality that includes energy output measurement and ECG wave testing, the Impulse 6000D features 10 independent ECG outputs that provide 12 lead combinations for standardized clinical signals. The Impulse 6000D Defibrillator Analyzer ensures proper operation and ultimate performance of critical life-support cardiac-resuscitation equipment, including mono- and bi-phasic defibrillators and AEDs. These best-in-class defibrillators offer test capabilities that encompass a global spectrum of established pulse shapes, feature breakthrough AED technology compatibility, and deliver superior performance with accuracy readings ± 1% of reading +0.1J.